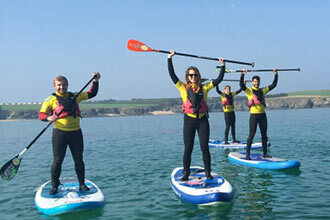 Rock climbing, cliff jumping and swimming in the sea are just some of the elements of coasteering that appeal to those who have an adventurous spirit that needs an outlet, and with a qualified instructor on hand, this is the perfect way to indulge anyone’s need for fun and excitement. 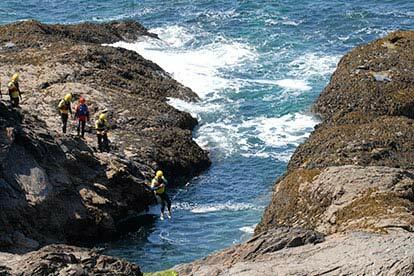 The beauty of coasteering is that it combines an array of skills, so if it’s proving tricky to cling to the rocks, the water will lead to the next spot where participants can explore the coastline and learn about the natural environment that is so easy to miss if you spend your whole time on land. Like any activity which involves tackling the elements, having a qualified instructor to show you the ropes is the secret to safe and enjoyable coasteering. This experience involves a welcome and a brief explanation of what participants can expect from their coasteering experience. The instructor will talk all the participants through some essential safety information and participants will be asked to complete a health declaration. The session itself will take place at a section of coastline carefully chosen to take into account the weather conditions on the day as well as one which suits the abilities and interests of the group. With so many beautiful places to choose from, there is always somewhere stunning to investigate. 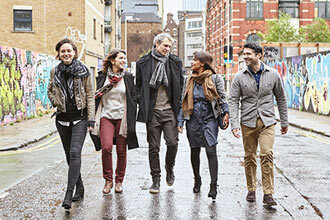 Once everyone has been briefed and is ready to go, it’s time to explore. 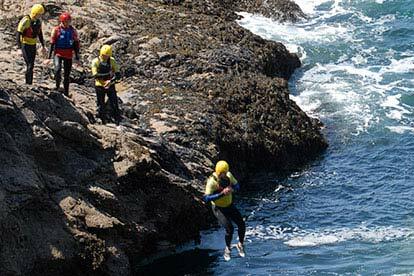 As well as being ideal for those who love trying new things and pushing themselves physically, a coasteering experience is also ideal for anyone with an interest in nature and wildlife. The coastal cliffs are home to a number of different species of birds and animals, many of which will only be visible from the spots that you will come across as you reach some of the lesser trodden areas of the coastline. Your experience will last approximately 2 ½ hours. 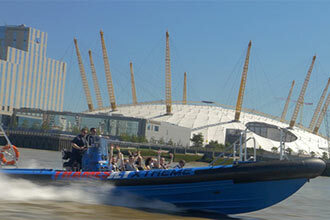 This experience is for two people, however there will be up to 6 other people there on the day.